Power, devotion and pathos have perhaps never been more stunningly rendered in metal than when they have been given the language of bronze to articulate the narratives they encapsulate. And when it comes to South Asia, the Buddha in his many iterations across distinct cultural landscapes forms an artistic narrative of His own. While Buddhism began in India with one man, Siddhartha Gautama, at the heart of its philosophy, its appropriation into Chinese practices and the centuries’ old encounters between Indian and Chinese Buddhism – the principles, beliefs and imagery entrenched in their respective traditions – continue to paint some of the most fascinating pictures of South Asian history. As the centuries have passed, Buddhism in China has expanded from its initial focus on the historical Buddha (known to them as Shakyamuni) to incorporate numerous celestial Buddhas, bodhisattvas and other teachers. Today, anthropomorphic images of all of these, cast in stunning bronze alloys, embody some of the richest vessels of South Asian cultural heritage and are among the most sought-after collectable antiques in the world. 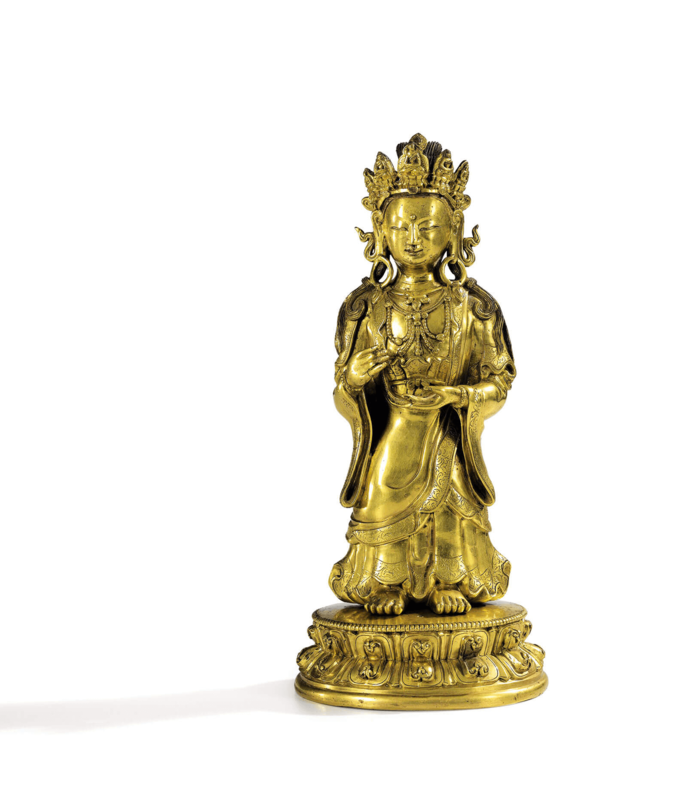 While the best, most reputed international auction houses will attest to a vast repertoire of Chinese bronze Buddhas, bodhisattvas, protectors and teachers, there are wide variations in value owing to several factors. 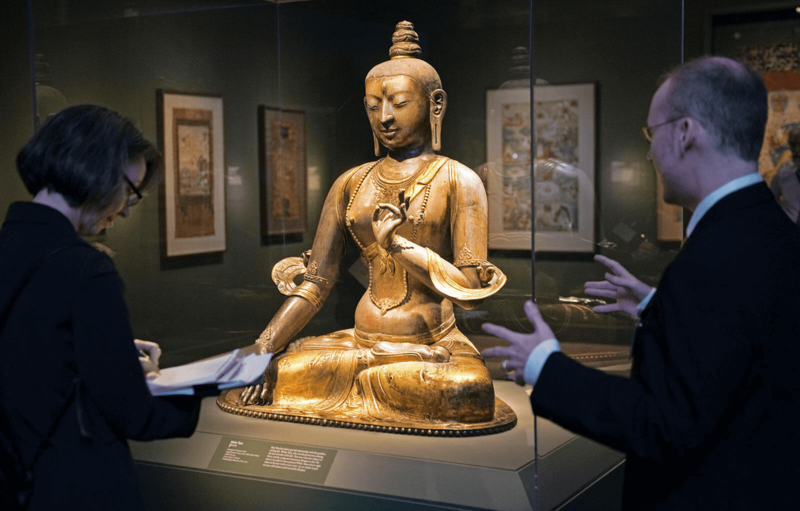 “Like any other segment of the Asian market, there is a very wide price range based on quality and rarity,” says Christie’s New York specialist Tristan Bruck. 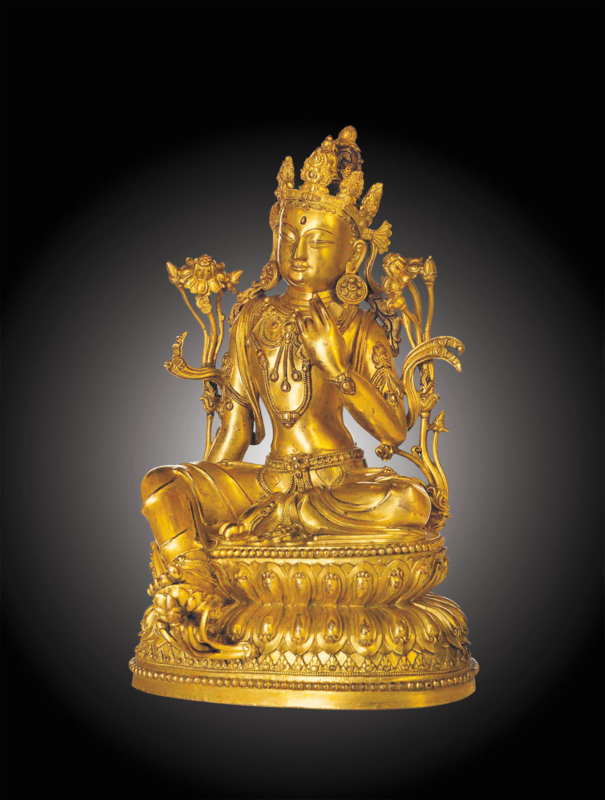 “In recent years, however, as buyers from Asia have become more involved, the prices for the best works have gone up significantly,” he affirms and adds that in present times, the most sought-after Buddhist sculptures are gilt-bronzes, with certain time periods particularly attractive to the market. Works tracing their origins to the early Ming dynasty, for instance, from the reign of the Yongle and Xuande Emperors, gilt-bronzes of 15th-century Tibet, Licchavi and Malla period Nepalese sculptures and early Qing dynasty works are all priced fairly high. An exceptionally rare gilt-bronze figure of Chintamanichakra Avalokiteshvara from the period of Yongle, Ming dynasty, was recently sold at an auction by Sotheby’s for $3,546,782 and a magnificent gilt-bronze figure of Shyama Tara from the Kangxi period for $4,87,057. One of the most important things that modern collectors should keep in mind as they survey the market for Buddhist bronzes, is that different periods or styles are always rising and falling in popularity but while tastes may change, quality never loses its relevance. An exemplary piece from any time period will hold its value. A number of elements come together to make for truly great quality in a Buddhist bronze and the most notable among them are the stylistic modelling of the figure, the rarity of the subject and the skill of the artist. “At the end of the day, people are buying [Buddhist sculptures] because they are beautiful and well made,” Bruck notes. When considering your price point, he adds, always buy the highest quality work you can afford.